According to a new report from the Centers for Disease Control and Prevention (CDC), drug overdose deaths have increased by 33 percent nationwide. In 19 states, deaths related to the abuse of synthetic opioids presented a significant rise, the study showed. 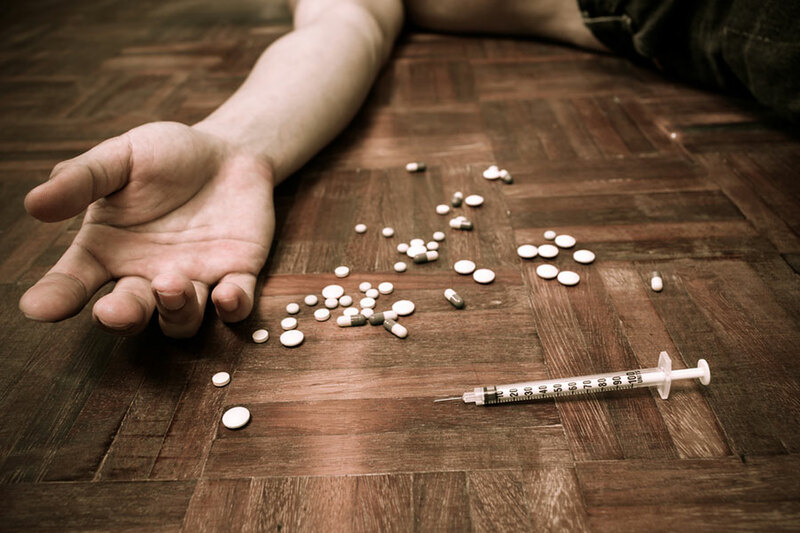 This new study released on Friday shows how deaths caused by drug overdose suppose a key problem concerning public health across the country. About 52,000 Americans died because of this reason last year, while the federal agency claims that this huge rise has a lot to do with heroin and opioids like fentanyl. Also, the abuse of legal prescription painkillers like Vicodin and Oxycontin presented a rise of 4 percent. This new data also confirms heroin deaths rise in 20 percent from 2014 to 2015, while deaths caused by the abuse of synthetic opioids, like the famous fentanyl, increased in 72 percent. When combined, opiates killed about 34,000 people; prescription painkillers killed almost 13,000 and the other 6,000 deaths were caused by heroin and other hard drugs. The study shows how some states were hit harder by this synthetic opioids trend than others. For example, in the state of New York, deaths related to the abuse of synthetic opioids reported an increase of 172 percent. Meanwhile, Connecticut and Illinois presented the most worrying numbers with increases of 125.9 and 120 percent, respectively. For epidemiologist Katherine Keyes, from Columbia University, is very discouraging for the health community, and especially for public health agencies, to encounter with these disappointing numbers. “What you saw in the CDC report is that one of the major categories where you saw an increase in overdoses was when fentanyl is involved. Certainly, that is not a surprise to those of us who have been working in opioid addiction and overdose. But it is a stark reminder that that is the challenge we are facing: these new synthetic opioids,” Keyes stated this Friday. Earlier this month, when the CDC published their preliminary information, one of the primary concerns was the fact that, in comparison, heroin is killing more Americans than guns for the first time in history. In fact, for the first time since the CDC is operating, heroin and opioid-related deaths surpassed the 30,000 deaths barrier. The Fentanyl trend that is about 40 or 50 times more dangerous than traditional heroin is one of the main reasons that explain why last year there were 5,000 more deaths related to drug abuse, comparing with 2014 numbers. Right now in America, the prescripted painkillers represent a bigger problem than thought for the health sector. Analysts say that even when the prescription of several types of opioids is perfectly legal, the problem doesn’t end with the doctor’s prescription. They say that because opioids, heroin and painkillers in general function similarly in the human brain, a continuous prescription to not so dangerous opioids may lead to a posterior addiction of a harder drug. Just 9 years ago, gun-related deaths exceeded deaths caused by heroin in a 5 to 1 relation. However, last year and for the first time ever recorded, gun-related deaths got to 12,979 cases while opioid overdoses caused 12,989 deaths. This new statistic doesn’t exactly prove that gun-related deaths are lowering at any point. In fact, there was a slight rise in that percentage. The head of the CDC, Dr. Tom Frieden, has advised the federal government on this matter and has suggested that this opioid problem must be a priority when talking about health policies. “Urgent action is needed to help health care providers treat pain safely and treat opioid use disorder effectively, support law enforcement strategies to reduce the availability of illicit opiates, and support states to develop and implement programs that can save lives,” Frieden said when releasing the study this Friday. Republican Senator Jeb Bradley talked this week about this opioid problem while recommended the Congress an extensive monitoring on the policies that every local and federal entity has taken and to realize which actions are working and which are not. The CDC itself also advised the government in some areas that could improve the opioid situation considerably. These actions include communication with the Chinese government to cease the continuous smuggling of substances into U.S. territory, specifically the contraband of illegal fentanyl. The public agency recommended the opening of 271 new Community Health Centers that can help people on providing the medical assistance necessary to fight the addiction. This year the Congress approved a $1 billion budget to fight the opioid crisis over the course of the next five years. However, some public health analysts are worried about the possible implications of the Affordable Care Act that the Trump Administration could produce. Experts had said that according to Mr. Trump’s vision, it would be harder for people to obtain medical assistance and drug treatment.